As many of you know I set very lofty goals of saving $5,000-$10,000 this year. I also wanted to upgrade, brighten and organize the two main bedrooms while we had them emptied to replace the carpets with solid oak wood floors. 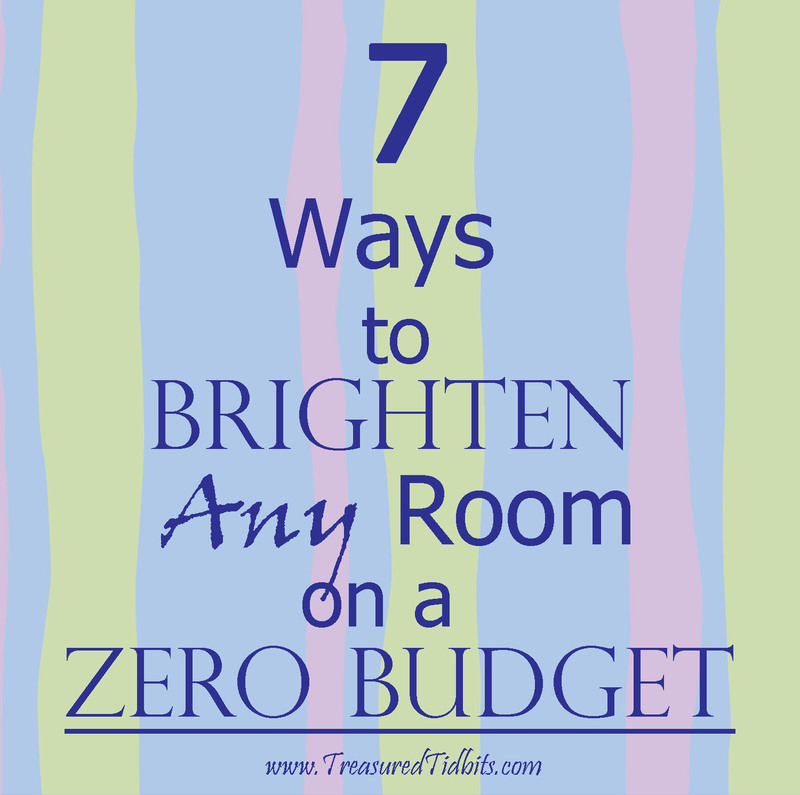 During that process I found several ways I could change our rooms or “brighten” them without spending a dime. I just needed a little imagination, willingness for change and a lot of elbow grease, cleaner, rags and water. Most of these may seem like simple changes but the difference they can make is AMAZING. Clean your windows and screens (inside & out) I could.not.believe the difference this made in our master bedroom. I did not feel the windows were all that dirty but when hubby cleaned just the outside the results were unbelievable. Clean and shine the furniture and mirrors. Make repairs and touch ups with paint or furniture repair supplies. This made it look like new furniture. I will be sharing the before and afters with you but not today. Rearrange your furniture and accessories (before we began putting furniture back I asked the hubby if he wanted to try something new and even though I didn’t feel it would suit me I tried it and I LOVE it! Who would have thought?) What can you move around? Remove clutter. Ask your self is this truly useful here? Does it bring me joy or stress me out? Would I enjoy it more in another location or outside my house? (I was determined NOT to bring in all the clutter we had kept in our master before the remodel. This is major task because my master bedroom is also used as an office, work station, storage area, pantry overflow and sick room when our chronic illnesses get the best of any of us. But I did it and that step alone was a game changer in how much brighter the room looked). 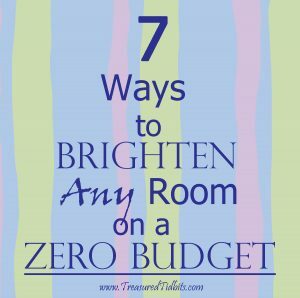 How would you brighten up a room on a zero budget?